Barzan Mozafari is an assistant professor of computer science and engineering at the University of Michigan, Ann Arbor, where he leads a research group designing the next generation of scalable databases using advanced statistical models. Previously, Barzan was a postdoctoral associate at MIT. His research career has led to many successful open source projects, including CliffGuard (the first robust framework for database tuning), DBSeer (the first automated database diagnosis tool), and BlinkDB (the first massively parallel approximate query engine). 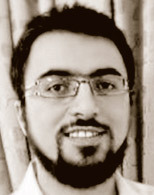 Barzan holds a PhD in computer science from UCLA.